Australian Wii U owners are having a tougher time than those in other regions, with a handful of games not making the trip Down Under. Activision has confirmed that another of its Wii U titles will not be releasing in Australia. 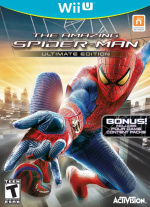 This time it's The Amazing Spider-Man: Ultimate Edition. This is the third Activision game that hasn't been released, showing that the publisher has a clear lack of faith in the Aussie market. 007 Legends and The Walking Dead: Survival Instinct are the other two titles that won't ever see the bright Australian sunshine. A reason for the latest absence was not given by Activision. 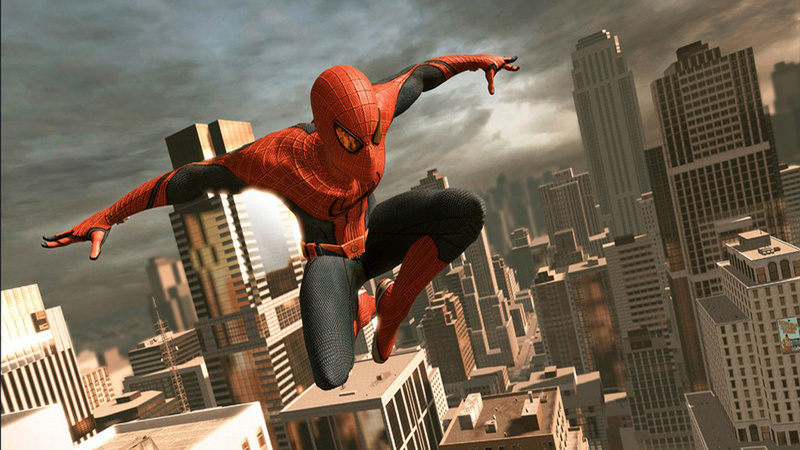 The Amazing Spider-Man: Ultimate Edition is an updated version of the game that has been on other platforms since last year. It features all of the DLC from the original and is set to be released on 5th and 8th March in North America and Europe respectively. This will be a shame for Australian gamers who were hoping to pick up a copy of the game, especially with the news coming so close to its release date. What are your thoughts on this, Australia? Are you disappointed to be missing out on yet another Activision title? Fire off in the comments below. well first off, this ain't nintendos fault, and secondly if australian gamers really want these games, you can always go on ebay and just buy the pal region copies from other countries in europe. And also if the ausie gamers feel strongly about these decisions, then you really need to make your vioces heard in whatever way you can. @Azooooz Yes, the Wii U is failing because of the Australian market. You hit the nail on the head there! Can't say I care much for this game but it is another blow for us Aussie gamers. Just gives me another reason to buy off UK ebay sellers, apart from the much cheaper price that is. If my Aussie friends are anything to go by they're pretty used to buying all sorts of things from British internet sites now anyway but really that only further begs the question. When there are no further costs associated beyond shipping then why not make it available there? When it comes to PS360 we very rarely not have something come out, but in saying that this is in terms of the past 4 years, after they had established user bases. I don't think many consoles sell very well to begin with in Australia (this is just off the top of my head remembering numbers, please correct me if I am wrong!) so Activision clearly don't see a profit in releasing it on Wii U if there's no Wii Us currently in Australian homes. Ah well, spiderman and 007 legends were crap anyway so its not exactly what i'd call a "loss"
Actually the amazing spider-man is pretty good. Anybody that has passed this up as being some movie tie-in garbage is making a big mistake. I wasn't going to buy this game anyway, no big loss. Dang. I was really hoping that the Amazing Spiderman would be the answer to AUS's devilishly poor Wii U sales performance. Another dream shattered. No biggie. Would be nice to see on shelves. I wasn't planning to buy it. What I am more concerned about is the Aussie eShop pricing, and why I get charged an international transaction fee from my bank for buying eshop games from the Australian eShop. And why Nintendo Australia don't have an email address so I can voice my concerns about these matters, among others, like having to hard reset my WiiU nearly every time I use Miiverse because my system freezes. @Azooooz The Wii U isn't doing well because the Australian market won't be able to purchase a year old port of Amazing Spiderman? Suuuuure. Yep because 007 Legends,The Waking Dead,and Spider-Man will be massive system sellers for the Wii U.
Eh. Cheaper to import from the UK anyway. I'll likely just grab it from OzGameShop or Amazon, as usual. The Australia and New Zealand markets are classed as part of Europe by the big three. Nintendo Europe is based in Germany, which is likely why there's a currency exchange fee charged. For 3DS eShop, I'd recommend doing what I do and change your profile location to Ireland so you can get the games cheaper. I feel for Australia. This crap needs to stop. I mean, seriously, how hard is it to release a game worldwide? To be honest, none of the games not releasing in Australia are any good, so they're not really missing out. No big, really. With prices the way they are over here it was always cheaper to just import from EU. Last game I actually bought over here was Scribblenauts Unlimited solely because I COULDN'T import it. At first I was like A-holes! Then I was like didn't want them anyway. Shrug... cricket is on. Overall this isn't really about not wanting a game or 'oh well it's crap anyway', it's decisions like these that are sending a message saying the Wii U isn't selling well here. But I hope this isn't a continuing trend.